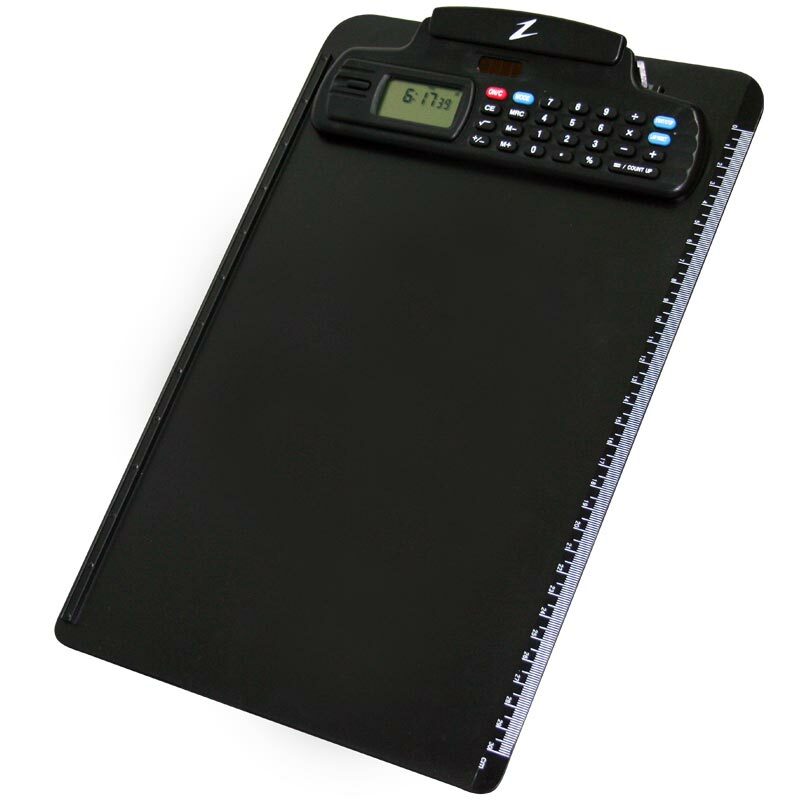 The Ziland Digital Clipboard is an all purpose clipboard that includes both a split stopwatch and a full function calculator. 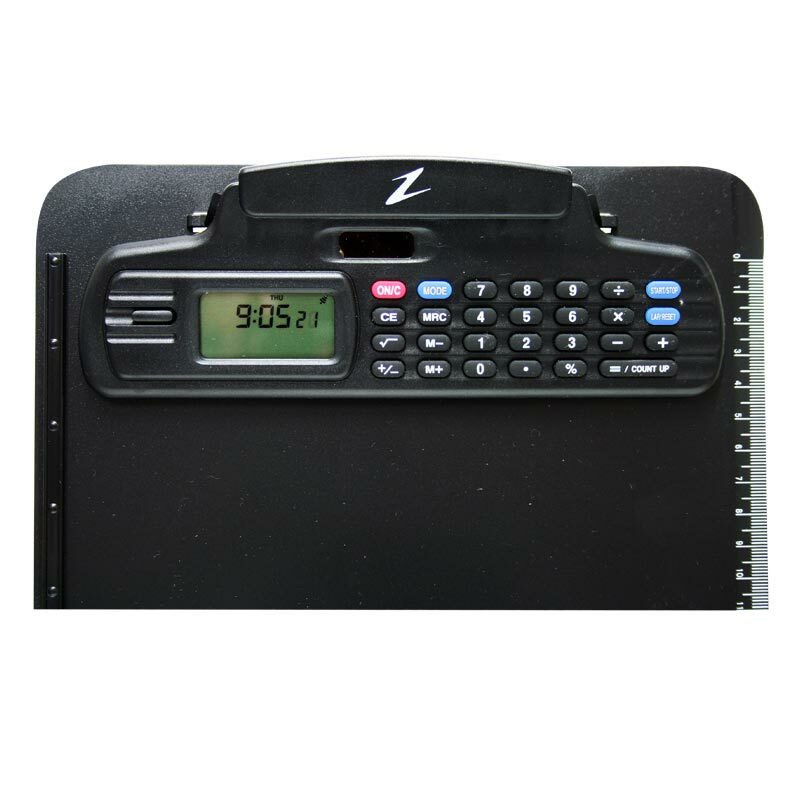 The dual display allows the stopwatch and calculator to be used at the same time. A solar battery system is built into the unit to assure extremely long battery life. Time all activities and keep notes at the same time. Large, easy-to-read dual line display. Stopwatch and time of day clock on top display, full function memory calculator on lower display. Stopwatch times single and split timing events. Calculator has full memory and percent keys. Time of day, date, month and alarm feature. Ruler and straight edge included. Unique paper "guide" always keeps papers aligned. Clipboard is slightly larger than A4 to take into account the large clip at the top, which has a strong spring to secure documents. The stopwatch function has been really useful, nit having to use a watch hanging round my neck. Hope the battery life is good, as I cannot see any way of replacing it ....but only time will tell!!! Excellent design, absolutely perfect for anyone who likes to write match reports with the clock ticking on top as you write, exactly what i wanted it to be.